If you are looking for somewhere to stay in Mayfair in Central London it can be something of a problem. Certainly, if money is no object you could stay in the Hilton Hotel, the Dorchester, or the Grosvenor House Hotel, but if you are staying for any length of time there are two problems. The first is that it is going to cost you a small fortune, which might not be a problem if you are a billionaire, but the second is that – even if you are a billionaire – staying in a hotel can get very tedious after a couple of weeks. You are living in a building with hundreds of other people which might be fun for a week or two, but after that it begins to pall. There is just nothing like living in your own home with your own space. 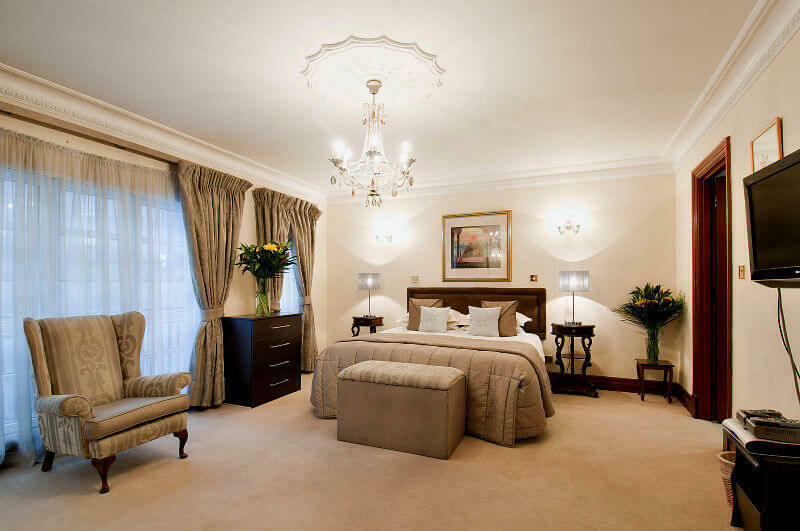 This is why London serviced apartments in Mayfair are so popular. You can get all the service that you need and yet you have your own space. You have your own living room, rather than a great big lounge. You have your own kitchen so that you can cook what you want when you want it, but of course, you can still go out to a restaurant if that is what takes your fancy. Carlton Court in Down Street, Mayfair is very centrally placed and within walking distance of Piccadilly, Oxford Street, and Knightsbridge. You have a choice of different sized apartments so you can simply choose the one that is best suited to you, whether you are just a couple or need to sleep as many as five or six people. Service? You name it. 24 hour concierge and security is provided as standard. A safe with your own code is provided for your valuables. High speed broadband is provided as a matter of course, as is a maid service 7 days a week. Air conditioning and underfloor heating is standard. Sky TV’s in every room with as many as 2,000 channels in a multitude of languages. What more could you possibly want for your stay in London?